Thursday, August 28, stop by the Fearless Blog http://www.thefearlessblog.blogspot.com/ to learn more about Dave Richardson author of Vietnam Air Rescues. As an avid reader, he spends a great about of time reading, and so it was inevitable that he should sit down and write about his experiences as a rescue pilot in Vietnam. Learn more of the history behind his book. On Friday, August 29, visit Underground Controversy http://undergroundcontroversy.blogspot.com/ as where Steven Bradley showcases Dave’s book. And the don’t miss the final stop on the tour, Saturday, August 30, when Dave stops by Author Read on Blog Talk Radio http://www.blogtalkradio.com/authorsread from 8-10 a.m. (Pacific time). Call in number: 347-215-8319 to hear an excerpt from this exciting book! While you’re visiting these blogs be sure to ask questions or leave a comment for a chance to receive a free copy of this exciting book. 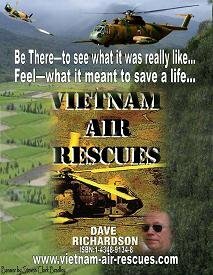 For more information on Dave Richardson, visit his website http://www.vietnam-air-rescues.com. In August, Dave Richardson did a virtual tour to promote his book Vietnam Air Rescues. This book was created by a father to share an account of the time he spent in Vietnam. He discusses each of his rescues and shares plenty of details about every day life for him and other interesting tidbits about his time in Vietnam. Experience—heart pounding action in…Vietnam Air Rescues. Join author to learn more about his life as a “Jolly Green” rescue pilot, picking up aircrew shot down in North Vietnam and Laos. This book is a real treasure with details of his 7 rescues of 9 men and over 30 anecdotes relating to his experiences. The book is profusely illustrated with more than 100 photos, maps and drawings. To order your copy and for more information, visit his website at www.vietnam-air-rescues.com. Dave Richardson’s final rescue happened mere days before he was scheduled to return to the US. Little did he know that it would be one of the largest air rescues in Vietnam. The man he rescued has written a book about his experience during this 40 hour ordeal. Cry… When Streetcar 304 describes a romantic and emotional farewell with wife and children prior to flying into combat over Laos. Twinge in Fear… As Streetcar 304 is shot down following his second bomb run in the midst of massive enemy anti-aircraft fire. Anguish… Along with Streetcar 304 as one rescue plane after another is knocked out of the sky by enemy gunfire and another pilot is also running for his life. Marvel… At the non-stop action in the jungle as Streetcar encounters squad after squad of enemy troops in hot pursuit and then… lions, leopards and monkeys. Stand up and Applaud… When Streetcar 304 is finally rescued in a scenario readers describe as “Better than any movie”. Be in Awe… When you read the final epilogue about the story’s aftermath. Monday August 18th, author and publicist Nikki Leigh interviewed Dave Richardson about his book and his experiences in Vietnam. To listen or to download your own copy, click the link above. As a follow up, Nikki Leigh interviewed Dave Richardson and Kenny Fields on August 25th. The second interview was a chance to talk with the rescue pilot and the survivor about what happened during those 40 hours, in the air and on the ground. To listen to the show or to download your own copy, click the link below. Veterans, teachers, aviation buffs, family members of military personnel, history buffs and many of others enjoyed these shows. They can be a way to start a conversation about the war, help family members understand about their loved ones time in the war, give students a first hand account from the men who lived through this rescue and others and many other people can benefit from these shows. The content in the shows is just the beginning. To learn the full story from both of these men, read both books and get both perspectives of these pulse pounding experiences and edge of your seat action. Vietnam Air Rescues by Dave Richardson and Rescue of Streetcar 304 by Kenny Fields are both for sale on Amazon.com and other booksellers. You can also order autographed copies from the authors if you prefer. Feel free to contact Nikki Leigh for more information at nikki_leigh22939@yahoo.com. To read a sample from Dave Richardson’s book Vietnam Air Rescues – visit http://www.nikkileigh.com/var.htm. This ebook contains excerpts from Vietnam Air Rescues and it contains all the details for Dave’s first rescue. Download your free copy today. Hugh Ballou is interviewed at http://www.dashhouse.com/ – visit Darryl Dash’s site to read his comments and the interview with Hugh Ballou. A SPECIAL BONUS TO EACH PERSON WHO PURCHASES TRANSFORMING POWER TODAY – Hugh Ballou has compiled a list of great FREE bonus gifts for anyone who purchases Transforming Power today. To see a sample of the items that are being given away, visit http://www.transforming-power.com. Just buy a copy of Transforming Power, return to this page and click to submit your invoice number to receive the web page link to download all of these gifts for FREE. A reminder about the show this afternoon and information about Hugh Ballou’s tour stop today. Music is a big part of my life – I’ve played various instruments since childhood. Working with other musicians was a major inspiration. Loss of memory, along with other mental phenomena have interested me since I minored in psychology at college. I’m glad to say I have no first-hand experience of memory loss! Aside from the musical influences, this is very much an imaginary tale and bears very little resemblance to my own life. Fantasy, music, mental chaos, mystery… if you like this sort of thing you could do a lot worse than read one of my books. Most of my inspiration comes from people I meet. The various groups I am in have given me opportunities to connect with some truly amazing people. People who like fantasy but don’t want another epic adventure with an unpronounceable barbarian hero on a quest to find a magical sword and kill the ultimate evil. My fantasy work is NOT epic, it’s about strange and wonderful people encountering strange and wonderful things. And terrible things. 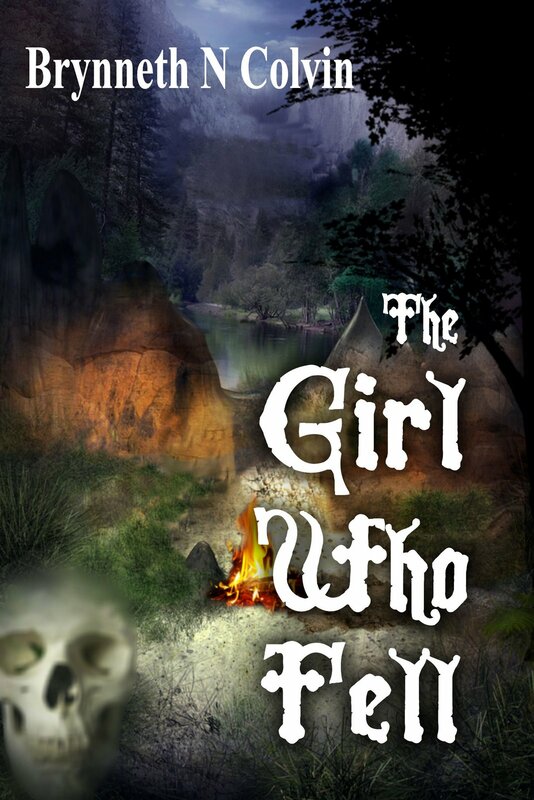 Plots, mysteries, adventures and magic all on a very human scale. For me, all of life is an interplay between what I experience and what I imagine. In Druidry, there’s a concept called ‘awen’ – a free flowing force of inspiration that you can just reach out and engage with. Having enough ideas. Plenty of people have ‘an idea for a book’. The trouble is, an idea will give you a short story. For a novel, you need dozens of good ideas that all mesh together into a coherent whole. Either write short stories – which is a good way to develop your skills anyway, or wait, gather more ideas, do more research, plan more and then write. I can’t speak for anyone else here, but for me its the desire to move and inspire others that keeps me writing. My ideal reader for this one would be the lad who most inspired me, but he just doesn’t read all that much, sadly. On the 18th, Nikki Leigh interviewed Dave Richardson, author of Vietnam Air Rescues on BlogTalkRadio with Nikki www.blogtalkradio.com/nikkileigh. The book is about his experiences as a helicopter pilot in Vietnam. On Monday, the 25th at 3:00, Dave will return to the show along with, Kenny Fields, one of the men he rescued. Call in number is (347) 215-8201. You don’t want to miss this one as the two of them share the rescue details with Nikki Leigh. Callers will have the chance to call in and ask questions. For more information on Dave Richardson, visit his website www.vietnam-air-rescues.com.